Physical factors can interfere with our ability to see and describe colors the same way others do. That subjectivity gets in the way when we try to execute a designer’s vision or specify a change. It can also interfere with our ability to visually match a color to standard for production purposes. The most important of these, since it’s fundamental to the way we see colors, is light. Objects absorb and reflect light. We can only see objects that reflect light into our eyes, and the color we see depends upon the wavelengths of light that are reflected. When the visible spectrum is reflected equally, we perceive an object as white. When it absorbs most light, we see it as black. Color in light, unlike pigment, depends on the spectral energies contained in the light. Objects that appear red reflect the red energy while absorbing all others. Without the red energy a normally “red” object will appear black. Light we perceive as “cool” includes more blue than does “warm” or yellowish light. The color of a light source can be described by measuring the relative powers of various wavelengths. As this spectral power distribution (SPD) changes, so does the way light is reflected to our eyes, which affects the colors we perceive. Light sources are measured according to their ability to accurately reveal colors in comparison with natural lighting. This value, determined by the spectrum of the light source, is called a color rendering index (CRI) and is often indicated on commercial lamps. The CRI for natural, outdoor light is 100. Retailers, restaurateurs, and office space designers are among those who routinely consider CRI in an effort to make goods more attractive and an atmosphere more inviting. But natural light varies with the weather, time of year, time of day, and position of a building, among other factors. Lighting designers can make adjustments by careful selection of artificial light. And paint and textile colors can be chosen to offset characteristics of natural light. For instance, indirect northern light can make colors appear darker, so a designer might select brighter paint and textile colors than they would for a southern exposure. In addition to color, the power of the light source can also affect the perceived colors of objects it illuminates. Brighter isn’t always better, though. Research from the Lighting Research Center has compared the relationship of efficacy to CRI, gamut area, and full-spectrum color index values. Sometimes very bright lights, for instance high-pressure sodium lamps, scored poorly on color rendering. Depending upon the application, color might be more important than brightness. Colors can appear quite different depending upon their context – not just the brightness of the viewing area, but the relationship between a color sample and its background. The Datacolor blog When it Comes to Color Why Can’t We Agree? provides examples of optical illusions in which colors appear different depending upon the density or color of the background. Five additional examples of color illusions show why it can be so difficult to match colors accurately. Even when variables are as tightly controlled as possible, color perception is variable and subjective. Color perception has been shown to change in high altitudes. One study evaluated the effect of reduced oxygen levels that create physiological changes in the eye. Another found that vision changes climbers experienced at high altitudes reversed themselves within a short time when the subjects returned home. The relationship between sound and color has fascinated scientists for hundreds of years. Plato and Aristotle speculated about the relationship between color and music, and Sir Isaac Newton styled his color wheel to correspond to the musical scale. Synesthesia is a well-known condition whereby people can hear colors (or experience other crossed senses). But while sound can trigger a color, it’s not clear whether sound – especially noise – can suppress color perception. One study measured “hue bias” associated with several factors, including noise, and did see a relationship. Another study indicated that bursts of white noise could suppress visual perception generally, but it didn’t single out color perception. Why Does Color Perception Cause so Many Disagreements? You might’ve heard that color is highly subjective. 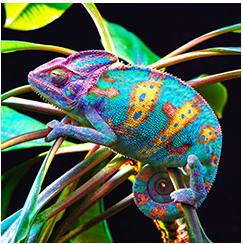 Working in the color management industry, our team is quite familiar with this fact. But don’t just take our word for it. Today, we’re launching a new series where we dive into the science behind color perception and the many factors that impact how we see (which, by the way, is not exactly the same as how our friends or neighbors or coworkers see). 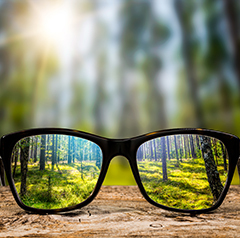 Today’s post explores some of the basics of color vision and perception. Later, we’ll go into physical factors that impact color perception. Finally, we’ll cover environmental factors. We hope you’ll walk away with a better understanding of why we so often disagree when it comes to color. This is the basis of trichromatic theory, also called Young-Helmholtz after the researchers who developed it. It was only confirmed in the 1960s. Opponent process theory postulates that color vision depends upon three receptor complexes with opposite actions: light/dark (white/black), red/green, and blue/yellow. Together, the two theories help describe the complexity of our perception of color. Perceived color depends upon how an object absorbs and reflects wavelengths. Human beings can only see a small portion of the electromagnetic spectrum, from about 400 nm to 700 nm, but it’s enough to allow us to see millions of colors. We’re pretty good at recognizing the color of familiar objects even as lighting circumstances change. This adaptation of eye and brain is known as color constancy. It doesn’t apply to subtle color variations, though, or counteract the changes in color due to intensity or quality of light. We might also be able to agree with each other on the wavelengths that define basic colors. This might have more to do with our brains than our eyes. For instance, in a 2005 study at the University of Rochester, individuals tended to perceive colors the same way even though their number of cones in their retinas varied widely. When volunteers were asked to tune a disk to what they’d describe as “pure yellow” light, everyone selected nearly the same wavelength. Since environmental and personal factors influence color perception, we can’t be assured of accurate matches when we’re comparing colors visually to a standard sample. 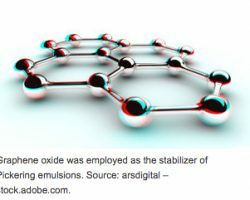 This can cause real business problems like production delays, material waste, and quality control failures. As a result, businesses are turning to mathematical equations to specify colors and non-subjective measuring devices to ensure matching. The CIE color model, or CIE XYZ color space, was created in 1931. It’s essentially a mapping system that plots colors in a 3D space using red, green, and blue values as the axes. Many other color spaces have been defined. CIE variants include CIELAB, defined in 1976, where L refers to luminance, A the red/green axis, and B the blue/yellow axis. Yet another model, CIE L*C*h, factors in lightness, chroma, and hue. Measurement depends upon colorimeters or spectrophotometers that provide digital descriptions of colors. For instance, the percentages of each of the three primary colors required to match a color sample are referred to as tristimulus values. Tristimulus colorimeters are used in quality control applications. Datacolor offers a complete line of spectrophotometers suitable for a variety of industries and more sophisticated applications. ECS Conference. Discover solutions – Don’t miss out on the latest trends! 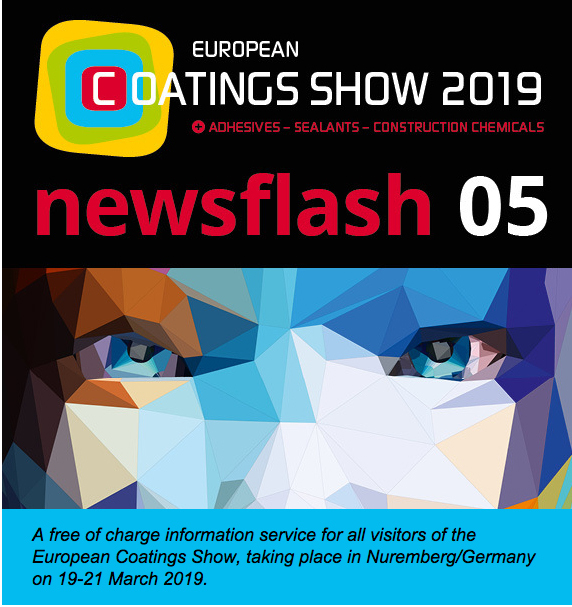 Over 800 coatings enthusiasts from around the world will be converging on Nuremberg to hear about the latest developments in coatings technology and to forge invaluable contacts. Don’t miss out on the latest trends and register now! 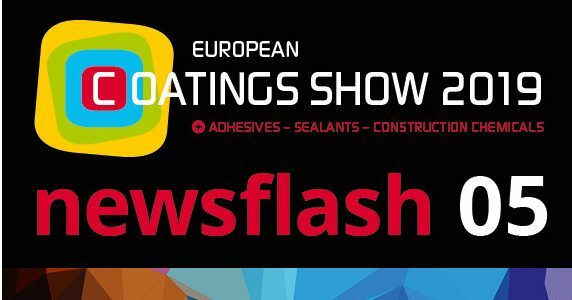 The ECS Conference is the largest and most important coatings conference in Europe and offers you a chance to look beyond the proverbial end of your nose and find out the latest research results from academia and industry. You’ll be among the first to know! With attendees representing more than 50 countries, you’ll have an unprecedented opportunity to engage with global coatings experts – and to look at your work and projects through a global lens. Gain profound insights into current global technology trends in the coatings industry. 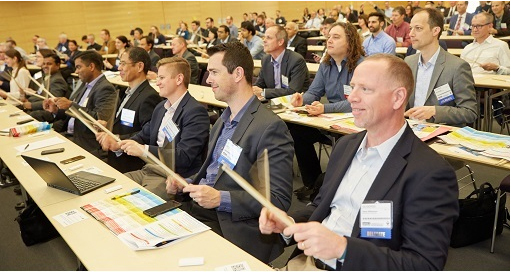 First-time attendees: You’ll have the chance to meet face to face with the brightest minds in coatings technology whom you have only heard about up to now. Returning attendees: You’ll have another chance to hang out with the smartest coatings people you know, plus meet a great many more. After having attended the ECS Conference, you’ll be bursting with ideas on how to devise better formulation solutions, boost your performance and make yourself even more invaluable to your employer. 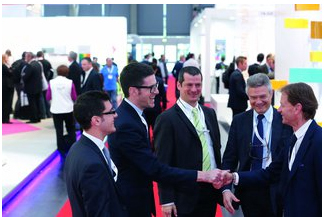 The European Coatings Show is coming closer. 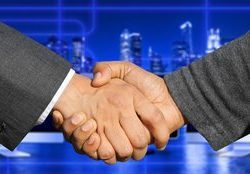 This year, many companies will take part in the ECS for the first time. We asked four of them to tell us something about their company and what they will present to the visitors. One of the new exhibitors is the Turkish company ACC Kimya. 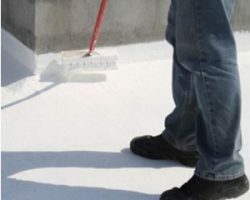 The company was established in 2010 and produces pigment pastes suitable for water-based, solvent-based, universal, tinting, polyurethane, solvent, solvent-free epoxies and liquid masterbatch systems. “We aim to sign new partnerships with producers and distributors in the paint and coatings sector as well as to increase our exports”, says Vesile Kutbay of ACC Kimya when asked about her plans for the fair. Hardly anyone over the age of ten would disagree with this classic cliché and although it appears to be a statement arising from a modern phenomenon the phrase (Tempus Fugit) is attributed to the Roman poet Virgil and recorded around 29 BC (Before Cell phones). However, and as usual, I digress. 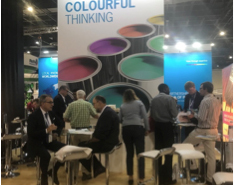 The message that I bring you is that our treasured Paint Show – Coatings for Africa is on its way to us next year (5-7 May) in a little over 14 months away (at the time of writing). The importance of planning for and supporting this event cannot be stressed more strongly. 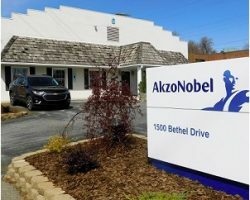 In a world of fierce competition it is vital that we use all opportunities to parade the strength and quality of our local Coatings Industry in early May 2020. As if to underscore this very point I know that a number of you are already packing your bags for ECS and the rally call to Nuremberg beckons. I mention this attraction because it seems to be a justifiable and significant expense for some to fly off to Europe and it is seemingly written off as money well spent. All I hope for is that some of this enthusiasm for a European conference is retained and transferred to an African expo next year that is happening much closer to home and the markets that we serve. As the days, weeks and months march on I will write more and encourage your involvement and attendance at CFA 2020 in Sandton, Johannesburg. For booking information please click on the link to CFA and communicate directly with the event organisers –DMG. Finally, “Beware the Ides”? In keeping with my Latin theme I thought it seemed worth mentioning this phrase too. As Julius discovered it wasn’t a good time in Rome during the month of March but Ides also relate to dates in the middle of other months. This includes May and for me this appears a little too close to the forthcoming Elections!